Christian theologian and peace activist James W. Douglass tells us why he thinks JFK was assassinated. He says it was because Kennedy went up against the military-industrial complex and the national security state. His carefully researched book is JFK AND THE UNSPEAKABLE. For many young Americans 9/11 was the defining moment of their generation, after which the world would never be the same. For older generations, the assassination of John F. Kennedy changed their world. Then, in short succession, came the murders of Malcom X, JFK’s brother Robert, and then Martin Luther King. All four assassinations happened within a period of five years. James W. Douglass thinks the murders were connected by a common thread — the threat the victims had posed, while alive, to what Dwight Eisenhower called the Military-Industrial complex. In his meticulously researched book, [amazon-product text=”JFK and the Unspeakable: Why He Died and Why It Matters” type=”text”]1570757550[/amazon-product], Douglass turns his attention to the first assassination of the four. The book explores the covert forces behind the assassination, including the CIA. 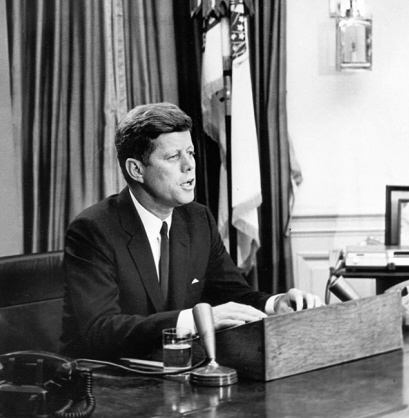 But even more fascinating, it examines Kennedy’s turn toward peace, what he learned from the Bay of Pigs and the Cuban Missile Crisis, his internal conflict over Vietnam, and his confrontation with the power of Big Steel over government military contracts. In doing so, Douglas gives not just the how of JFK’s murder, but the why: JFK’s growing determination to break up what he saw as the greatest threat to peace in the world and democracy at home: the national security state. 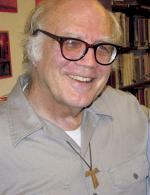 James Douglass is a long time peace activist and Christian theologian. 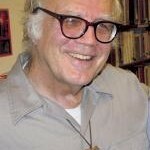 He co-founded the Ground Zero Center for Nonviolent Action http://www.gzcenter.org/ in Washington state. In 1997 he and his wife received the Pacem in Terris Award for their work on behalf of peace. Web Extra: James Douglass tells Writers Voice more about Lee Harvey Oswald. THIS BOOK IS PURE FICTION CONCERNING LEE HARVEY OSWALD.NO PROOF HAS COME FORTH TO SHOW THAT LEE HARVEY OSWALD WAS A CIA ASSET AT ANY TIME IN HIS LIFE.IT HAS BEEN PROVEN THAT THERE WAS ONE SHOOTER THAT FIRED THREE BULLETS FROM THE REAR.TWO STRIKING KENNEDY,ONE IN THE HEAD.THE RIFLE THAT FIRED THE BULLETS CAME FROM A RIFLE OWNED BY OSWALD.THE ONLY INVOLVEMENT CONCERNING OSWALD WITH GOVERNMENT INTELLIGENCE WAS THE FACT THAT HE THREATENED TO REVEAL RADAR INFORMATION TO THE SOVIET UNION WHEN HE DEFECTED IN 1959.THIS INFORMATION WAS FROM HIS DUTIES AS A MARINE.HIS DISCHARGE STATUS WAS CHANGED TO UNDESIRABLE AT THAT TIME AND THE RADAR CODES WERE CHANGED.BECAUSE OF NATIONAL SECURITY CONCERNS,HE WAS NOT CHARGED WITH TREASON ON HIS RETURN FROM THE SOVIET UNION.THIS SIMPLE FACT PROVES THAT OSWALD WAS NOT INVOLVED IN ANY INTELLIGENCE MISSION.ON HIS RETURN FROM THE SOVIET UNION,THE FBI MONITORED OSWALD AND HIS RUSSIAN BORN WIFE.IT HAS BEEN SHOWN THAT LEE HARVEY OSWALD WAS AN INTELLIGENT,SELF PROMOTING SOCIOPATH.THERE IS NO RECORD OF ANY CIA/FBI PROMOTION OF OSWALD.NO PERSON OR PERSONS HAVE COME FORTH TO PROVE THAT LEE HARVEY OSWALD WAS PART OF OR ACTED WITH AN ORGANISATION DEDICATED TO KILLING JOHN F. KENNEDY.THIS CASE IS CLOSED. I do not agree with you at all – check the ARRB records ! Case is not closed, we have not had a trial yet ! You tell it like it is Judyth !!! 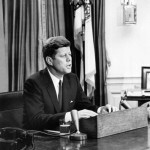 JFK AND THE UNSPEAKABLE AND WHY IT MATTERS. I guess it’s just too hard to believe that the CIA was acting in the best interest of America.Think about it….Oswald attempts to make a call from jail to a long retired ex intelligence the day before Ruby shoots him.If Oswald talks….names names and events and training.Well you figure it out.Does anyone still believe that Naval Intelligence would just let a soldier with with secret radar codes,go into town and have fun at clubs with possible enemy agents…..they would train him in intelligence tactics.This is where the call was learned.Now Ruby….he knew the time Oswald was to be moved…the hit was ordered….most likely from the the top brass at the Dallas police. Thoughts, Mr. Grehn …. why just that you should write your own book! I’ve been listening to the whole recorded program. Great work by Ms. Rheannon. I understand this interview with Jim Douglass was conducted in 2009. This puts the discussion about Obama in context. He had just been elected and you and Jim discuss whether or not Obama would be able to “turn” in the sense of metanoia. Now we are seeing that after 5 years and a second term of office that Obama is nothing more than “more of the same”. Essentially a puppet, as was Bush, of the Military-Industrial-Congressional complex. Thanks for your comment. And I agree, although, truth to tell, I never expected much from Mr. Obama. Unfortunately, my hunch was borne out.